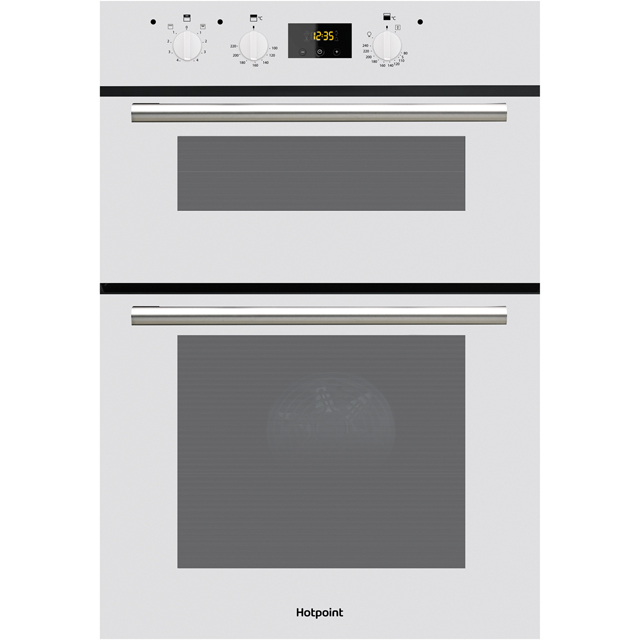 This built-in electric double oven from Indesit has a classic white finish and would look great in any modern kitchen. It has a main electric fan oven which distributes hot air, so your food will cook evenly on every shelf. The second oven also functions as a grill, so it’s perfect for preparing quick snacks. This model also has a useful programmable timer which switches off when your food’s ready. 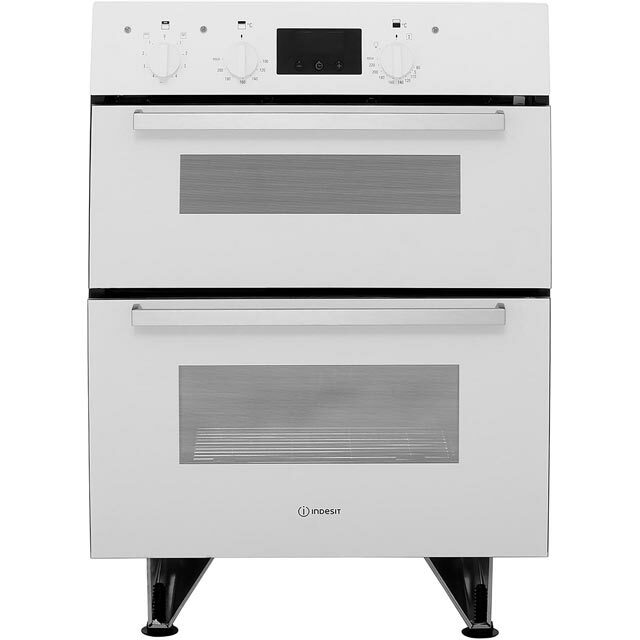 Both ovens have enamel liners which stop grease from sticking and are easy to keep clean. Easy to use and install, very good price. 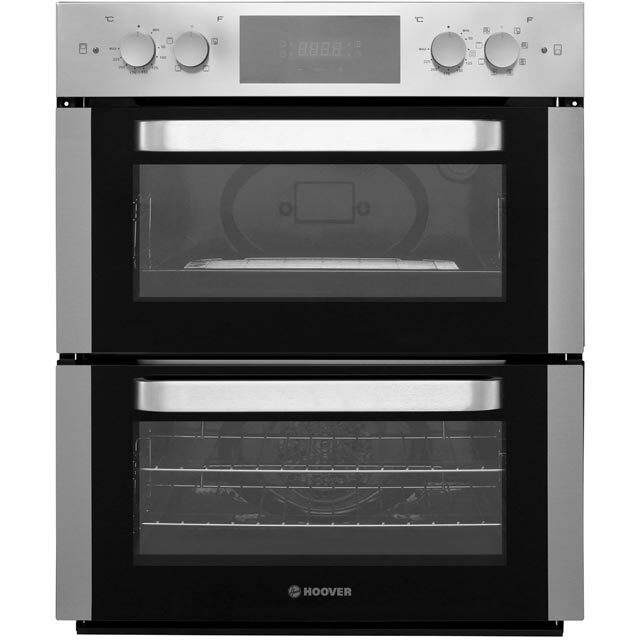 Would recommend to anyone looking at getting a double oven at competitive price.Not alot more can be said other than great product. 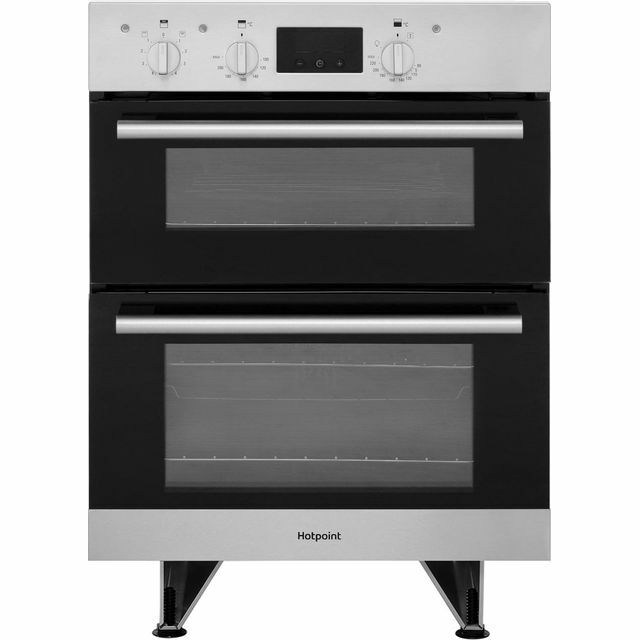 My old oven gave up less than a week before the big day, AO delivered my new Indesit double oven in plenty of time. It was put to work straight away with a massive workload and performed brilliantly!! Friendly helpful delivery guys, easy to install and straightforward to use. I definitely recommend AO and this product. 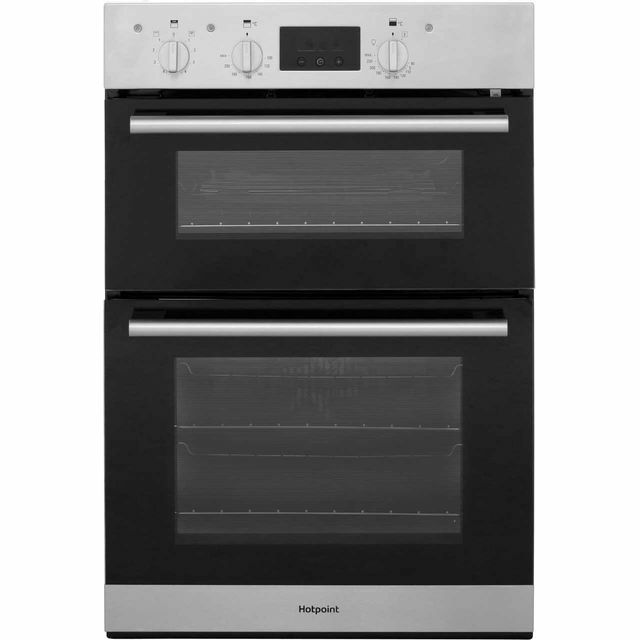 A great little oven giving the versatility of two ovens and a grill for all of your cooking needs. While the main oven only comes with one shelf, which limits its use, you can use the tray from the upper oven/grill to enable you to do two trays of cookies at once. Heat is even and comes up to temperature quickly. The timer functions are simple to set up and use. Bought to replace an old Diplomat oven that was worn out, the difference is startling! Didn't want to pay too much as likely to redevelop the kitchen in the next couple of years but this does the job brilliantly. Very easy controls, sturdy in construction (on feet so doesn't sit on shelf) and cooks more than adequately. Buy it! Early days but so far so good...cooks evenly, the oven is quite and no issues so far. I used the installation service so can’t comment on how easy or difficult it is to install.